The recent printer update also comes with new software – Evolis Badge Studio. User-friendly and ergonomic, everyone can easily create and personalize cards and badges, on PC or Mac. 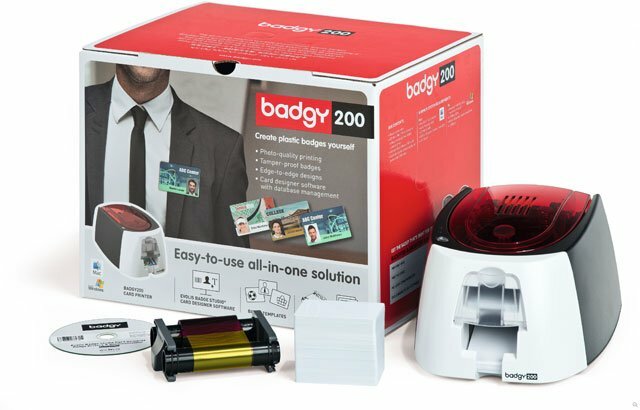 Every printer comes with the Evolis Badge Studio+ version for batch printing, which allows easy management of databases. Printing a batch of badges in “mail-out” mode can be done in just a few clicks. Creating professional quality cards takes less than one minute to produce and is just as easy to set up and use as a standard office printer. With four-color printing, Badgy printers offer high-quality images and the professional finish of your cards will no doubt make an excellent impression! For assistance finding the right Evolis printer for your needs, contact us at BarcodesInc.